Gerbner clearly and comprehensively outlines the way in which the universal story-telling function of human societies has been colonized by corporate media. Drawing upon the path-breaking research of the Cultural Indicators Project, Gerbner outlines, in a comprehensive and clear fashion, the way in which the universal storytelling function of human societies has been colonized by corporate media in the modern world. Making a distinction between 'effect' and his own theory of 'cultivation,' he explains the role the media environment plays in how we think about ourselves and the way the world works. 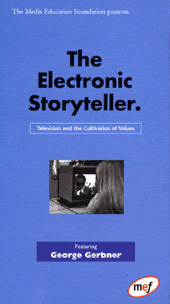 SECTIONS: Storytelling & Humanity / Effect vs. Cultivation /An Example: Violence and the media / Casting & Fate / Stories of Gender / Stories of Class / Stories of Race / The Politics of Storytelling.